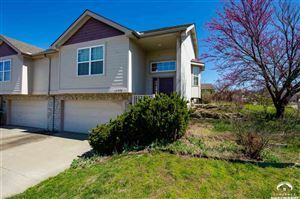 Home owners in the South Middle School area have easy access to the large retail establishments in Lawrence. Residents in this part of town can easily zip over to Target, World Market, T.J. Maxx, The Home Depot, Menards, Kohls, Bath and Body Works, Bed Bath and Beyond and more. Home owners wanting go go out for dinner and a movie might be seen at El Potro Mexican Cafe for some yummy Mexican food (photo above--be sure to check out their KU Burrito Special on Thursdays at lunchtime--muy bueno), then it's just a short zip through the parking lot to the Regal Southwind Stadium 12 for a show.